Recording orders, sales and purchases would have little meaning unless they were connected. At the heart of our manufacturing solution lies a production system that ensures that these are in sync. You procure as much as you produce; and produce as much as you are able to sell. The goal is as simple as keeping the lowest inventory. 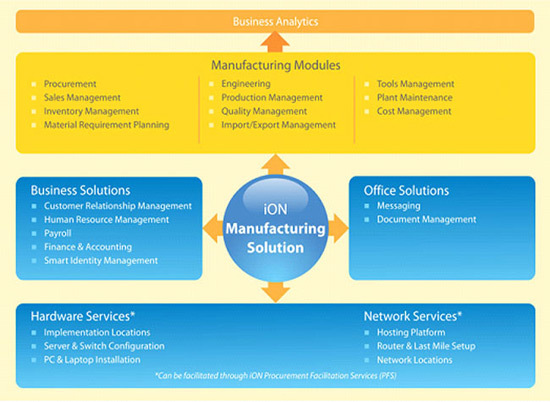 At iON, we tend to make the complex manufacturing process look simple by connecting the different parts of the operations. The software is organized into planning and execution. Production plan for instance, would tell your operations to expect the right amount of sales, and then initiate the right quantity of procurement. But what happens when the execution slips from what is planned? Vigilant reports and dashboards would alert you in time.